How well are you thanking and reporting? Are you setting the standard in this important work? I want to challenge you to consider how you can grow giving by focusing first on better thanking and reporting to your donors. This is essential to growing your giving future! Here’s what the data tells us: If a ministry organization thanks them well and actually reports the impact of their giving as individually as possible, a donor’s natural inclination is to continue giving unless financially hindered! It’s a challenge, but one with a promising reward. It’s time to consider how well you are implementing the two most critical aspects of growing a culture of giving – thanking and reporting. Why should you do this better? • It will differentiate you from other ministries. • This will serve as the start to a disciplined approach to growing relationships with donors for the long-term. Remember this, you only need a reasonable number of donors. I am asking you to do what God has called you to do with who He has called you to do it with. Thank and report as leaders who reflect the heart of God and what He is doing through the people who give. As you communicate with donors, you must share the impact their giving is having on the people who you serve. The key to thanking is being mindful of what the giver is thinking when they are writing you a check, sending you a gift online or ordering stock to be transferred. Donor-centered research suggest that many donors actually picture your reaction to their gift as you receive it. Donors think of themselves as having a big impact! But then how do we usually respond? We send them a receipt letter. I doubt they imagined the impact of their giving resulting in such a generic response. Yes, your receipt letter is necessary, but we have to remember what was going through the mind and heart of a giver when donating and the impact their gift is going to have on your organization and the people you serve. Your receipt letter, even when it also says “thank you” is the obligatory response – not the heartfelt emotion that a personal phone call provides. Step two – then send your letter and receipt. Step three – now you can get more personal and creative and get their attention because this is the unexpected step. You can send a thankful report letter, or send a personal note from someone in your organization. 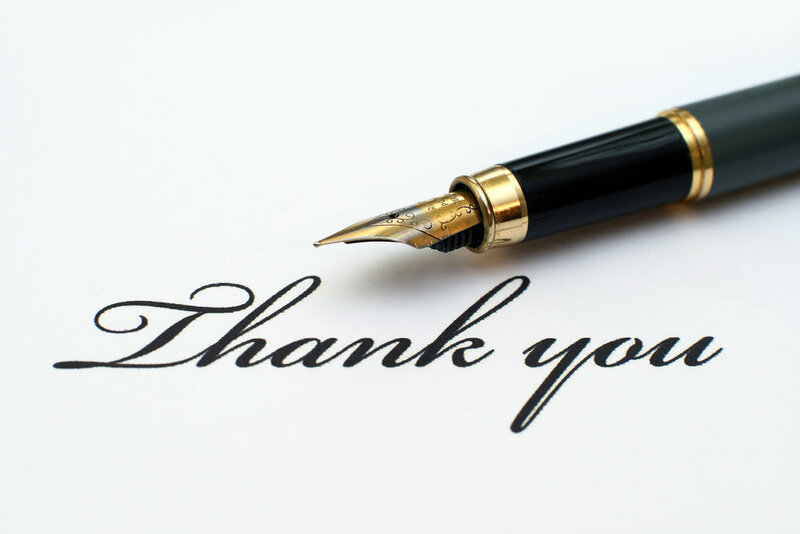 This individualized thank you can come from the executive director, the development leader or board chair, or another involved individual so long as they are not the sender of your receipt letter. You could even send a letter, handwritten note, email, or even a text. Remember, we’re showing donors they count and are noticed beyond the obligatory receipt letter. The gift has to get to work a little bit – it has to make a difference, but then you need to report to people on the impact of their giving. The challenge to this is how to do so in a way that’s as individualized for each donor as possible. Talking Points. Have on file talking points on your ministry’s reporting every six months. Be able to say: This is how we’re reporting to our donors (face-to-face, phone calls, emails, letters) and when (annual report, twice a year, monthly). Intentional. When you report let people KNOW you’re reporting. There should be something that trumpets, “This is a giving report!” If it’s a letter, try saying, “Please allow me to give you a report on the impact of your giving.” Email? Provide a memorandum of a report on the first half of the year. Make sure bells and whistles go off saying, “This is your report!” Otherwise the donor doesn’t realize you’ve reported to them on the impact of their giving. Thanking and reporting is the essential discipline to grow giving in your future. While this can be challenging to execute at first, it makes everything else (including asking for money) easier as you go forward. It takes discipline to thank people well and report to people well in a way that relates to who they are individually and the impact they’re having. I encourage you to continuously improve in this area if you want to continuously grow giving. The point is to be doing this and living this out in how you relate to your donors. It sets you apart. It honors how God is using the givers. For more great leadership insight from Zach Clark at Development and Leadership Coaching, click here to hear from him in a more personal way through weekly texts. He will encourage and equip you toward your goals on this leadership journey.